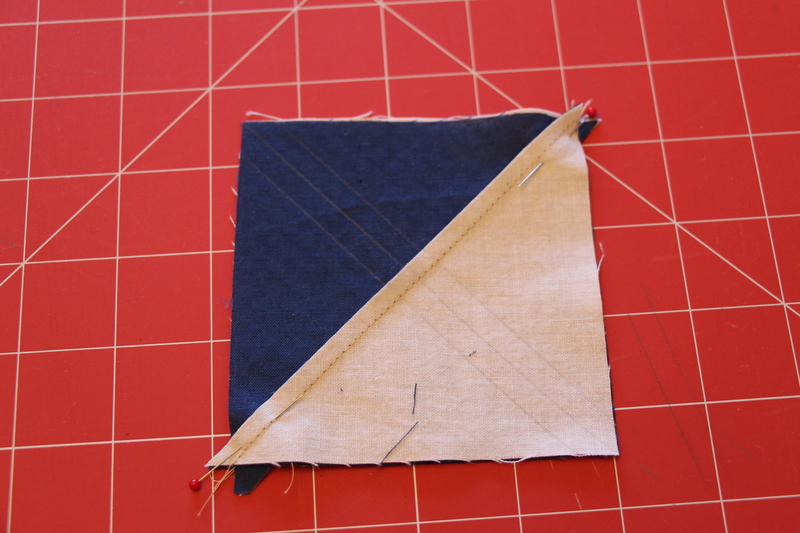 For my Old Glory Fourth of July quilt I used two different blocks for the stars section of the flag. 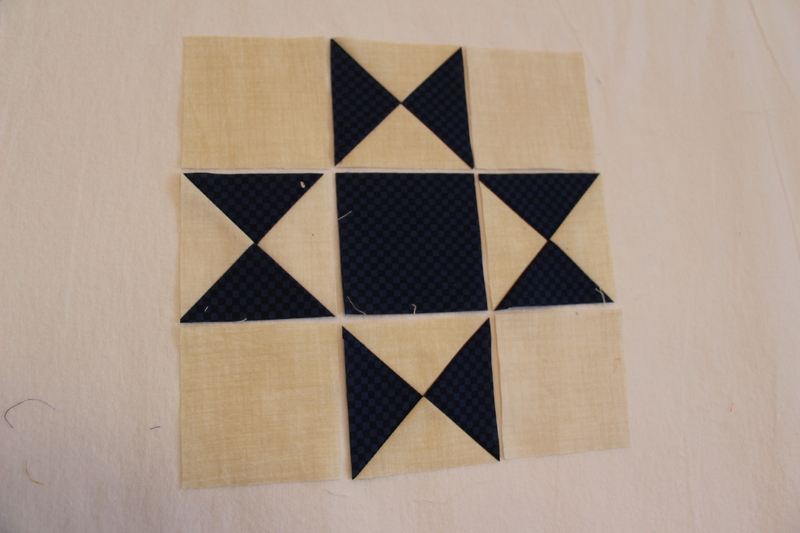 One of them, Sarah’s Choice, is a 16-patch of half square triangles and squares so I did not feel a tutorial was necessary for that block. 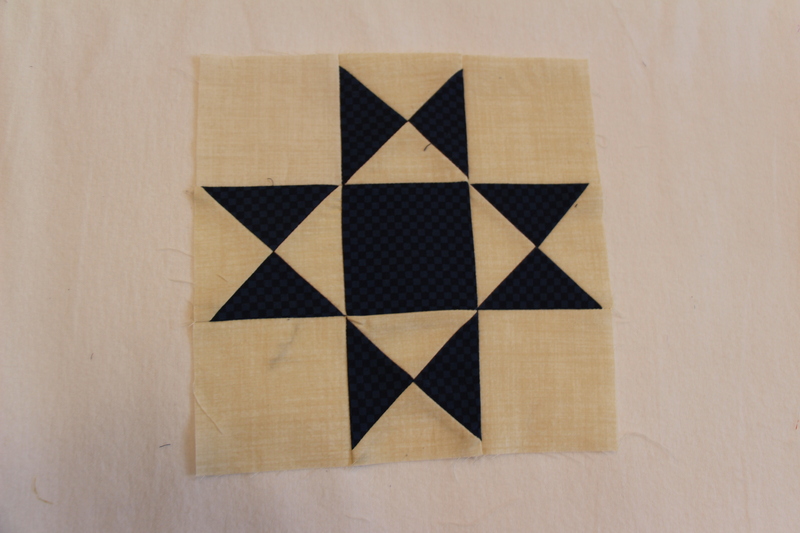 The other star block, Ohio Star, is a little trickier. 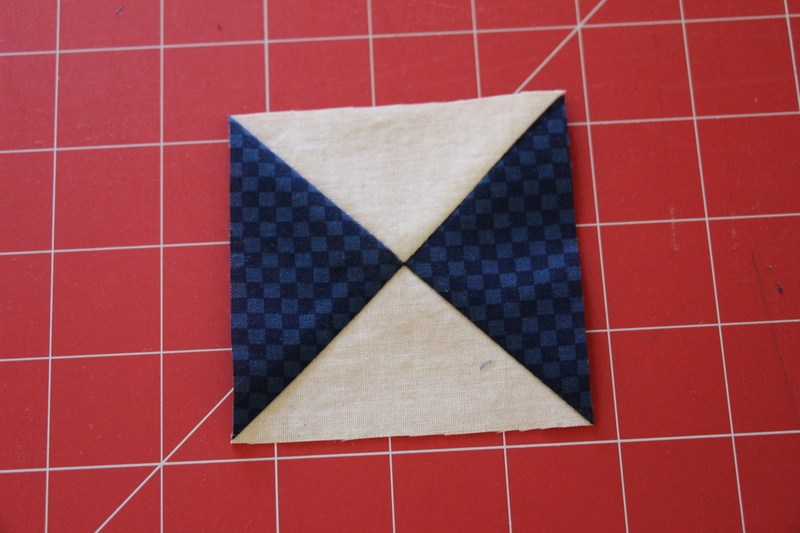 This 9-patch is a made up of squares and what I call hour glasses (quarter-square triangles). 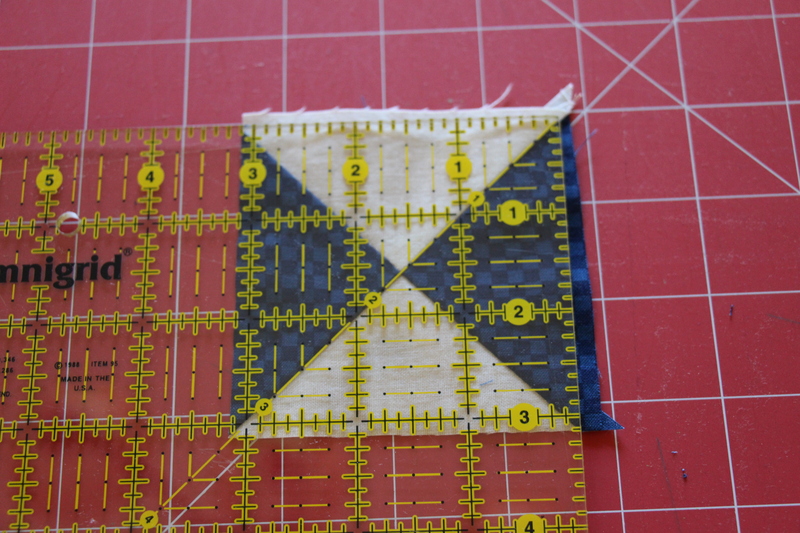 Note: These measurements are for an 8″ block. 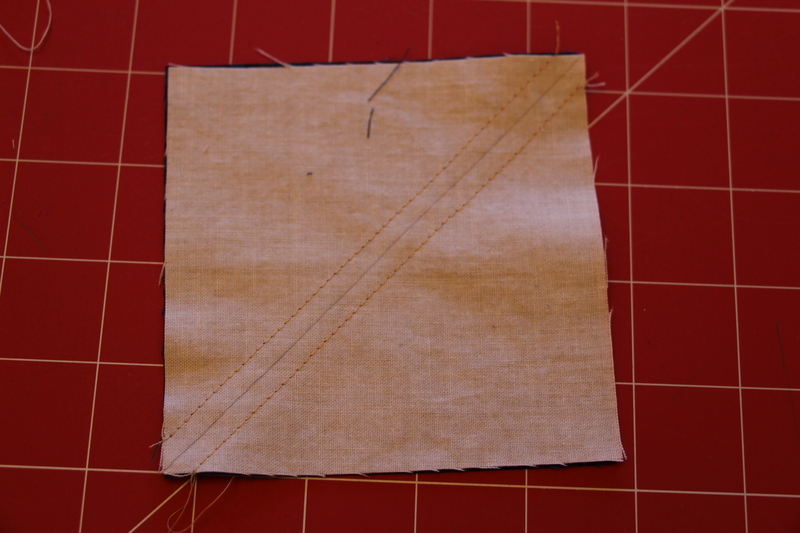 Sew using a 1/4″ seam allowance. 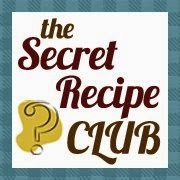 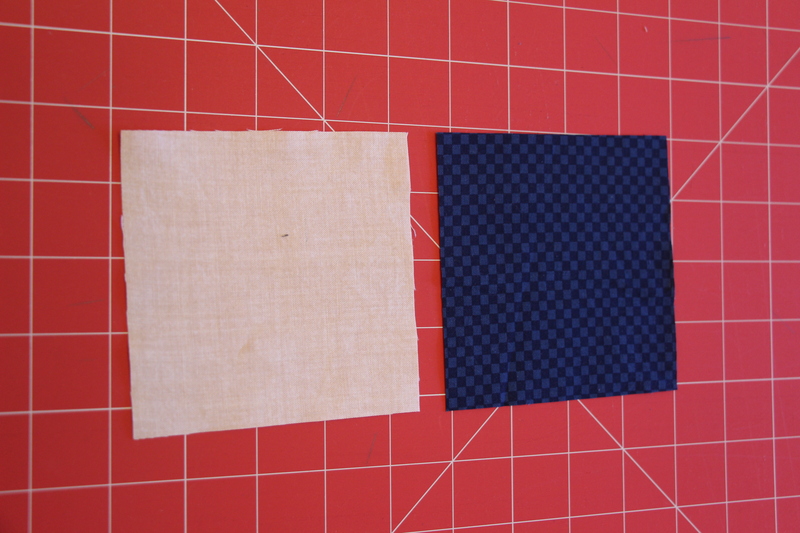 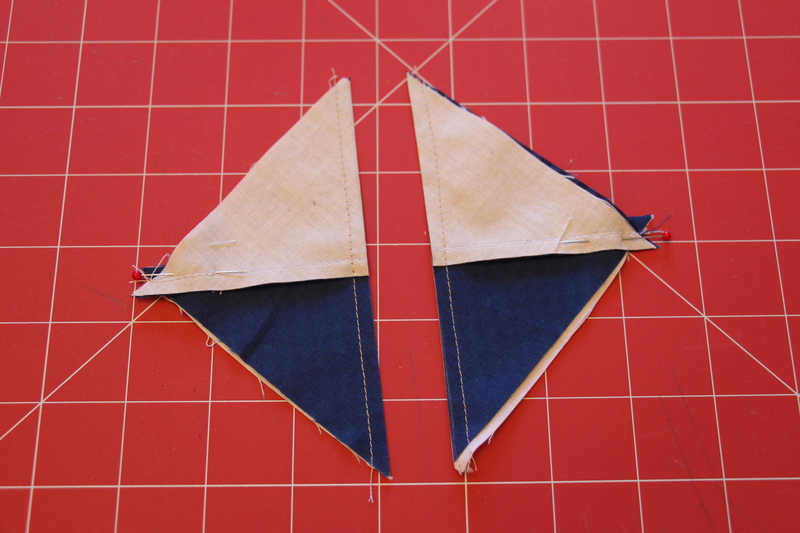 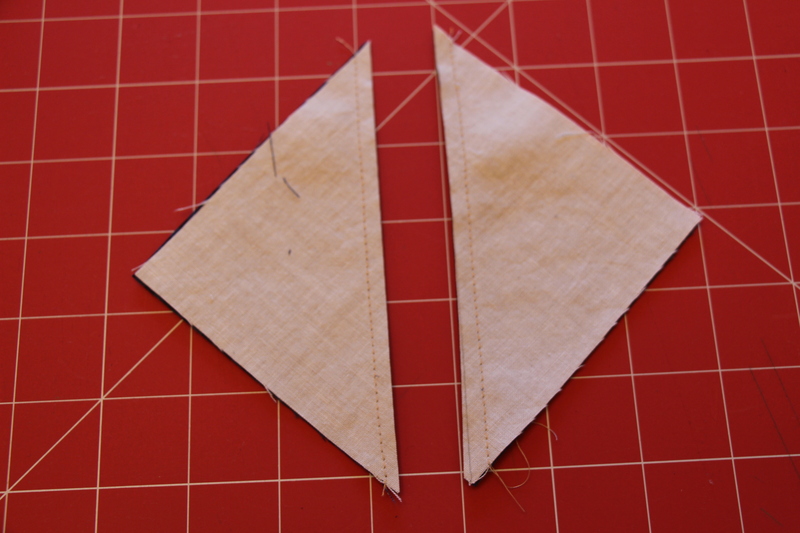 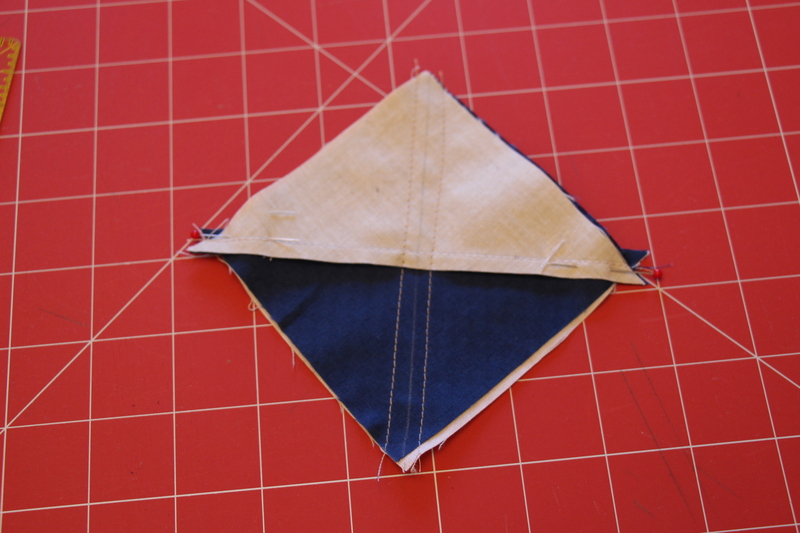 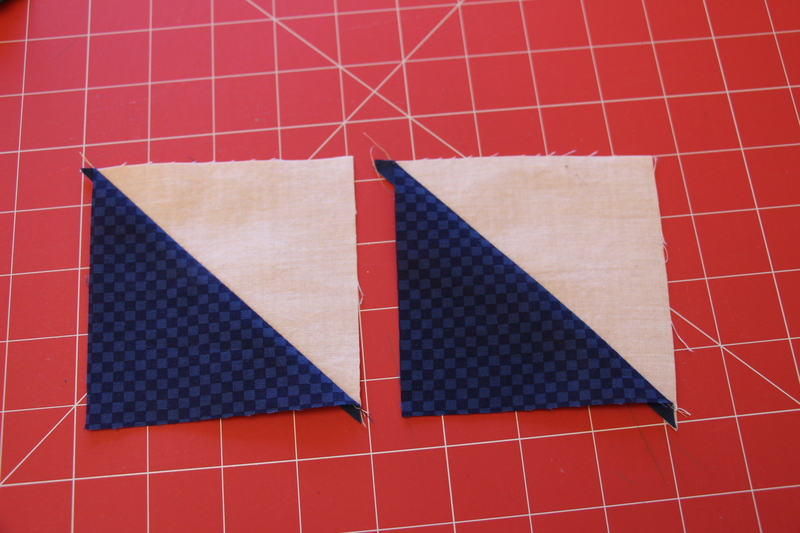 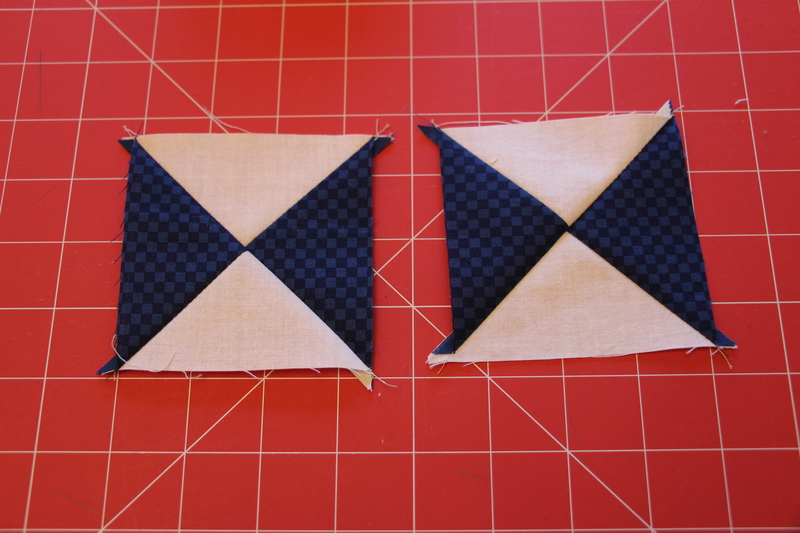 Repeat the hour glass process for the other 4 1/8″ squares of fabric.